A Busy Tool Library Month! 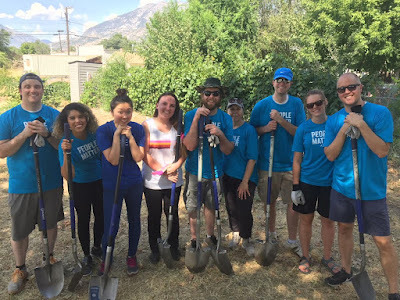 July 13 & 14, 2018 - Many residents in Provo's Timp Neighborhood pulled together to come out and dig trenches and install a sprinkler system in the 300 West and 300 North cross streets. In addition, other yard projects were worked on in the neighborhood. The projects took two days and was a weekend collaborative. Habitat provided our Mobile Tool Library, which helped residents whip through the tasks which would have otherwise taken a lot longer. July 24, 2018 - For many of us in the State of Utah, we enjoy having the 24th of July off. However, for those who work for companies headquartered outside the State, the 24th is just another work day. 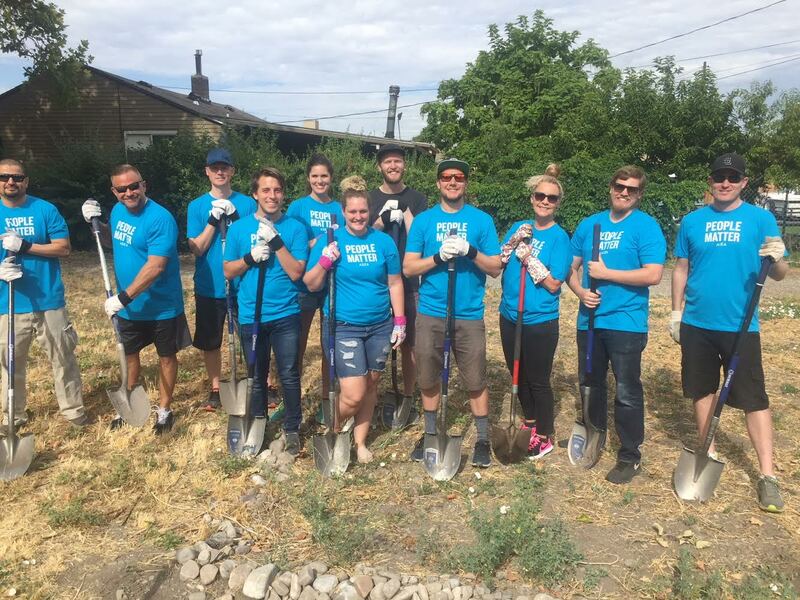 Employees at the Utah Valley Convention Center found a way to turn their day on into an opportunity to give back to the community. 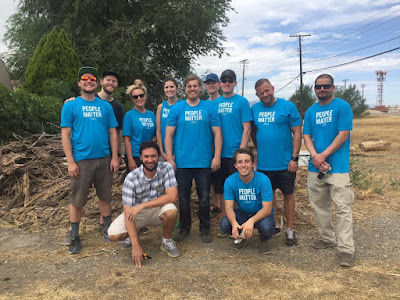 Habitat provided our Mobile Tool Library and the volunteers cleaned up weeds and boarders around the 300 West and 700 South cross streets, which is a place for businesses, residents, and a community garden. 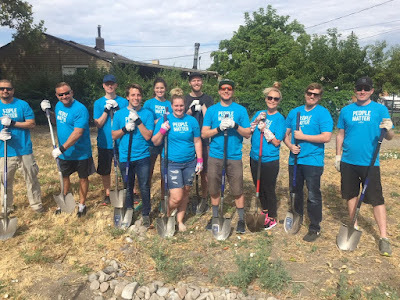 July 30, 2018 - We had several members of the Provo 228th LDS YSA Ward come out and help revitalize Provo's North Park neighborhood. Volunteers, along with neighborhood residents, cleaned up a community garden and pulled weeds and picked up trash around the 800 North and 600 West area. Michael and Celeste Kennard hosted a Police Picnic at their home in Provo's Joaquin Neighborhood this past week. Several Provo City police officers came out to mingle with Joaquin residents and answer questions. Everyone had a great time eating some good food and enjoying Kennard's beautiful backyard. The next Police Picnic will be August 28th for the Franklin Neighborhood. 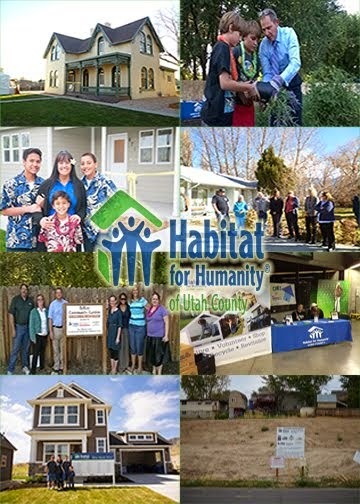 Habitat families and volunteers walked in American Fork Steel Days Parade on Saturday, July 21st to help Habitat promote our mission in the community. Parade walkers walked next to our cool red truck float and handed out taffy and ReStore flyers to parade watchers. Only two more parades to go! Habitat families and others spent their Pioneer Day morning handing out taffy and flyers and walking alongside our cool red float truck at the Spanish Fork Fiesta Days Parade. We are thankful for our parade volunteers and their willingness to help us market our mission to the community even on a holiday! 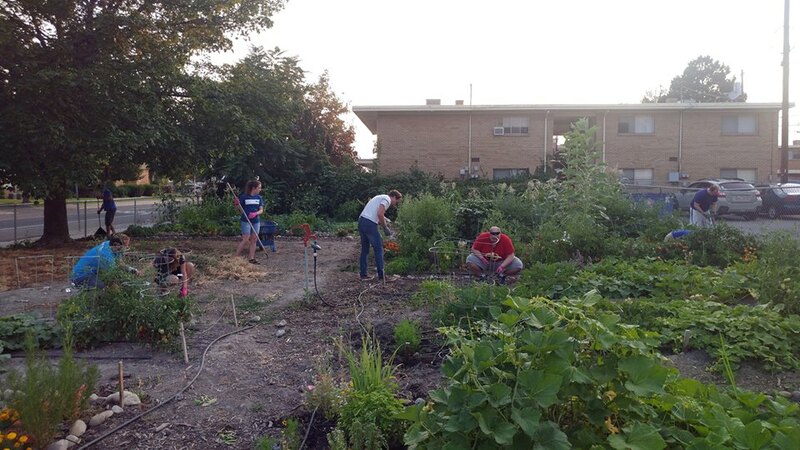 Habitat partnered with Community Action to provide our Mobile Tool Library to help prepare Franklin Neighborhood's Communal Garden for the fall crop this past week. 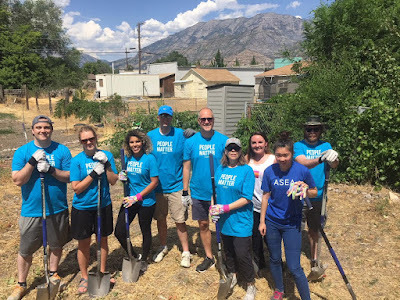 Two groups from ASEA (cellular supplement company) volunteered their time and used tools from the Library to hand till and prepare the garden.